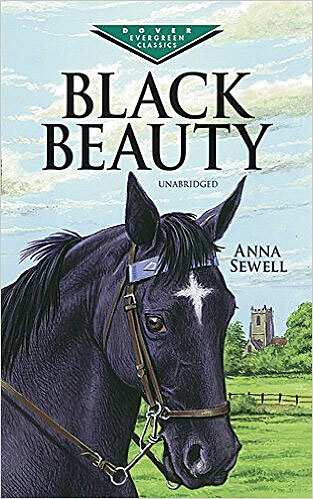 Black Beauty by Anna Sewell book review: The famous 19th-century moving animal tale tells a horse’s trials in the hands of many owners. People love horses, don’t they? I, personally, haven’t yet met anyone that didn’t. Of course, I’ve met people that are somewhat afraid of them. Nevertheless, even those, ate least, I found to admire them for their extreme beauty. This generic horse-fondness goes way back, and one of the written proofs of that is the 1877’s book, Black Beauty by Anna Sewell. If you think this book is a silly tale written to male people cry, think again. On the contrary, it could be considered one of the first, if not the first, and most important books about animal rights written. And the reason is simple: A horse is the Main Character, and the first person, of the story. Today, almost 150 years later, a significant part of our society evolved in its approach towards animals and nature in general. However, a significant part of the world’s population can still benefit from the messages contained in this book. In Victorian England, men had a different relationship with horses from what we see today. The society of those days depended, a lot, on horses for transportation and almost everyone didn’t care much if animals needed to be treated better than a steam engine or an anvil. Anna Sewell was clearly aware of this mentality and disagreed. Horses were a big part of her life since she had a chronic injury that prevented her from walking well and relied heavily on horses to help her. She became devoted to them and decided to write this story, hoping to expose the cruel practices she’d witnessed all her life. Anna Sewell was a late 19th-century British novelist, notorious as the author of the 1877 classic novel, Black Beauty. I read this book and watched the movie so many times during my child hood that when I look back, it seems I just had it all the time with me. Story’s like Black Beauty by Anna Sewell bring us closer to nature and animals. Maybe, in the future, we will have enough stories to sway humanity to a better path. This book doesn’t seem to fit very well in a classic structure, but it does follow it loosely. If I had to be strict about it, the book appears to be a saga of many small stories, and I bet it would serve very well as a general story line for a series of small books. Protagonist = Fate. I believe that the story is driven by fate since there is no common objective in the story. Black Beauty certainly is not the protagonist and just passively follows the tides of his destiny. Related to the inner stories, however, in some of the black horse plays active, heroic protagonist parts. Antagonist = Many evil characters that represent the general society at the time. Main Character = Black Beauty. On the other hand, is the black horse is the character that sees the story through the reader’s eyes. Impact Character = The only person (yes, person), I could call an Impact Character here would be the author herself. It is she that drives a conflict of ideas into the minds her readers. She uses Black Beauty as the main character to do that. When she makes the reader learn what the horse feels and thinks, she is, actually, criticizing the 19th-century society. Co-Antagonists = The ignorant and stupid people. Sidekick = Black Beauty’s horse friends, mainly. Skeptic = The foolish that don’t believe animals deserve proper treatment. Emotion = Reuben Smith and other characters that act based on feelings and out of control. Beauty learns from a young age that humans can be either a horse’s greatest ally or their worst enemy. He is sent to Squire Gordon at Birtwick Park, where he spends the happiest years of his life. Mrs. Gordon’s becomes very ill and the Gordon family their property in England and the horses. After this point on, Beauty’s tale becomes a struggle as he becomes victim to stupid treatment and carelessness from a range of new owners, resulting in several hazards towards his health, mind, and body. Beauty is finally sold to a cab driver that treats him well, but, the man’s illness once again changes Beauty’s fate. Furthermore, Beauty suffers by the hands of cruel owners who work him until he drops. He also faces one of his friend’s death under the sae kind of treatment. Overworked and injured, he is saved by a rational horse doctor who thinks he can still be fixed up and sold. During an emotional sequence full of uncertainty about his future, Beauty is bought by a kind farmer, who rehabilitates him to resell. In the end, the kind farmer sells him to a family who remembers him as Squire Gordon’s beloved horse and gives him the happy life he deserves. 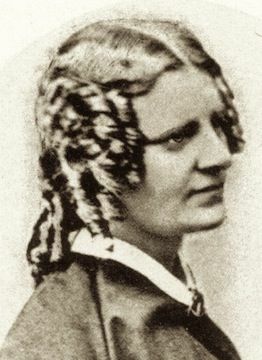 Intelligently, Sewell targets her book to the audience that, she thinks, deserves educating. 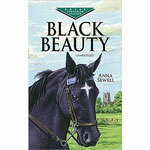 Please leave a comment about Black Beauty by Anna Sewell. Age Range: children and teenagers.